Background: We aimed to investigate the relationship between liver function tests (LFTs) and metabolic syndrome (MetS) as several studies have shown positive correlations between some of the LFTs, including alanine aminotransferase (ALT) and γ-glutamyl transpeptidase (γ-GT), and MetS but have not fully explored the same in the elderly. Owing to the progress in public health, the aging of the general population becomes a major issue. Design: We enrolled subjects aged over 60 years who underwent routine health checkups in a Health Screening Center after excluding subjects with a history of hepatitis B or C infection, excessive alcohol consumption, liver fibrosis, cirrhosis, acute hepatitis, diabetes, hypertension, dyslipidemia, cardiovascular disease, or receiving medications for these diseases. Finally, 9,282 participants were eligible for analysis. Statistical Analysis: All data were tested for normal distribution with the Kolmogorov-Smirnov test and for homogeneity of variances with the Levene's test. A t-test was used to evaluate the differences between the two groups. Univariate and multivariate regressions were used to observe correlations between different parameters. Receiver operating characteristic curves of each LFT were used to predict MetS. Areas under curves and 95% confidence interval were also estimated and compared. Results: With the exception of aspartate aminotransferase and α-fetal protein, the results of LFTs, including total and direct bilirubin, alkaline phosphatase (ALP), ALT, and γ-GT, were altered in the group with MetS. Furthermore, the levels of γ-GT in men and ALP in women were independently associated with all MetS components and had the highest areas under receiver operating characteristic curves. Conclusion: Abnormal LFTs are highly correlated with MetS in the hepatitis-free elderly, with levels of γ-GT in men and ALP in women being the most important factors. LFTs may represent an auxiliary tool for the detection of MetS. Introduction: In India, approximately 6 million populations are affected by human immunodeficiency virus (HIV). Anemia and leukopenia, especially thrombocytopenia is seen commonly in HIV infections. Low CD4+ count and increased viral load are some of the factors associated with increased risk of thrombocytopenia. We analyzed the hematological profile in a group of 150 HIV infected patients. 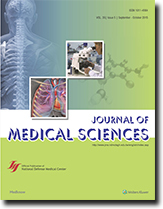 Materials and Methods: A retrospective and prospective study of medical records of 150 HIV positive patients at Clinical Pathology laboratory at our institution was done between August 1 st and October 15 th, 2011 using nonrandom sampling. Hemoglobin (Hb), hematocrit, red cell indices, total leukocyte and differential count, CD4+ and platelet count were noted. 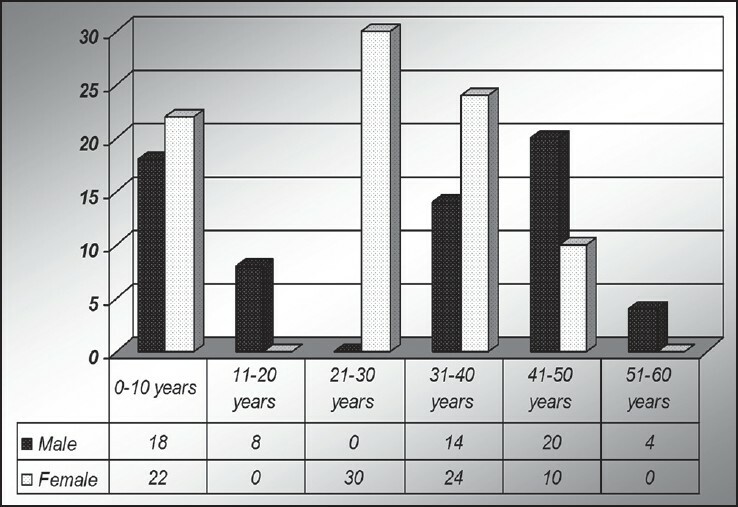 Results: Of the 150 patients, 40 (26.67%) were below age 10 and 98 (65.33%) in 21-50 years age group. Eighty-six (57.33%) were females. Hundred patients had anemia (Hb <12 g/dl) of which 58% were microcytic hypochromic (MCHC). Eighteen patients had leukopenia along with anemia. Total number of patients with low CD4 count (<200/μL) was 32 (21.33%) and all had hematological abnormalities, mostly anemias with few leukopenia and thrombocytopenias. All patients with pancytopenia had low CD4+ counts. Total number of patients with thrombocytopenia (<1.5 lacs/dl) was 20 (13.33%). Four patients (2.67%) had pancytopenia. Conclusions: MCHC anemia is the most common morphological variant of anemia. Leukopenia was found to be consistently associated with anemia. Thus, anemia and to a greater extent leukopenia are bad prognostic indicators of disease. Pancytopenia may herald a low CD4+ count. Background: Methamphetamine (MA) is often mixed with morphine by polydrug addicts, and polydrug abuse has become a serious health problem worldwide. The purpose of this study was to investigate the major signs and symptoms of combined MA and morphine abuse in the Emergency Department (ED). In addition, we used a mouse model to study their effects on the release of dopamine (DA) and 5-hydroxytryptamine (5-HT) in the central nervous system. Materials and Methods: Seventy-two patients with combined MA and morphine abuse were collected during a 3-year period, and their medical records were reviewed. Mice were intraperitoneally administered MA (0.75 and 2.5 mg/kg/day) and morphine (5 mg/kg/day) either alone or in combination for 5 consecutive days. The mechanisms underlying the interaction between MA and morphine were explored by measuring the extracellular levels of DA and 5-HT in the shell of the nucleus accumbens using an in vivo microdialysis technique. Results: The most common manifestations of combined MA and morphine abuse included tachypnea, tachycardia, confusion, anxiety, delirium, insomnia, and diaphoresis in the ED. Of those, 25% of acute intoxication required hospitalization for intensive care. The group of mice treated with a combination of MA and morphine had higher concentrations of DA and 5-HT in the accumbens than with either drug alone. Conclusion: These findings suggest that MA pharmacologically interacts with morphine to induce characteristic signs and symptoms. Our preclinical results also implicate the involvement of increased DAergic and 5-HTergic neurotransmission among polydrug abusers with a combination of MA and morphine. Context: Despite the use of advanced surgical techniques, the incidence of biliary complications (BCs) after liver transplantation (LT) is high. Hence, there may be additional unidentified causes of BC. Aims: To identify the risk factors for BCs occurring within 6 months or beyond 6 months after LT. Materials and Methods : We enrolled 237 patients who underwent LT from August 2001 to December 2012. Of the 237 patients, 173 did not have BCs (no BC group), 42 had BCs within 6 months after LT (early-onset BC group), and 22 had BCs beyond 6 months after LT (late-onset BC group). Statistical Analysis Used: Patients' demographic, clinical, and biochemical data were analyzed using the Mann-Whitney U-test, Chi-square test, Fisher's exact test, and multiple logistic regression analysis. Results: Multivariate analysis indicated that only partial liver graft (odds ratio [OR], 2.741; 95% confidence interval [CI], 1.236-6.077; P=0.013) was an independent risk factor for early-onset BC after LT, whereas acute rejection (OR, 6.556; 95% CI, 2.380-18.056; P < 0.001), multiple bile ducts (OR, 4.227; 95% CI, 1.212-14.740; P = 0.024), and pre-LT serum albumin level (OR, 2.234; 95% CI, 1.178-4.238; P = 0.014) were the independent risk factors for late-onset BC after LT. Conclusion: Early-onset and late-onset BCs after LT are associated with different risk factors. Partial liver graft is a risk factor for early-onset BC, whereas pre-LT serum albumin level, multiple bile ducts, and acute rejection are the risk factors for late-onset BC. As it is easily controllable, prevention of acute rejection may help to reduce the incidence of BCs. Background: Intracellular pH (pH i) is a pivotal factor for cellular functions and homeostasis. Apart from passive intracellular buffering capacity, active transmembrane transporters responsible for kinetic changes of pH i impacts. Acid extrusion transporters such as Na + /H + exchanger (NHE) and Na + /HCO3− cotransporter (NBC) have been found to be activated when cells are in an acidic condition in different cell types. However, such far, the pH i regulators have not been characterized in human umbilical artery smooth muscle cells (HUASMCs). Materials and Methods: We, therefore, investigated the mechanism of pH i recovery from intracellular acidosis, induced by NH 4 Cl-prepulse, using pH-sensitive fluorescence dye: 2',7'-bis(2-carboxethyl)-5(6)-carboxy-fluorescein in HUASMCs. Cultured HUASMCs were derived from the segments of the human umbilical artery that were obtained from women undergoing children delivery. 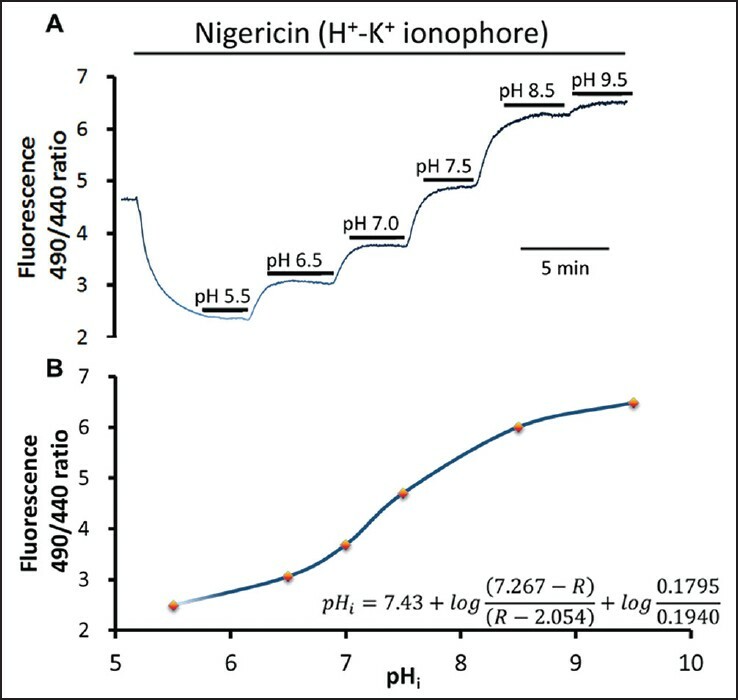 Results: The resting pH i is 7.23 ± 0.03 when cells in HEPES (nominally HCO 3− -free) buffered solution. The resting pH i is higher as 7.27 ± 0.03 when cells in CO 2 /HCO3− -buffered solution. In HEPES-buffered solution, a pH i recovery following induced intracellular acidosis could be inhibited completely by 30 μM HOE 694 (a specific NHE inhibitor) or by removing [Na +]o . In 5% CO2/HCO3− -buffered solution, 30 μM HOE 694 slowed the pH i recovery from the induced intracellular acidosis only. On the contrary, HOE 694 adding together with 0.2 mM 4,4'-diisothiocyanatostilbene-2,2'-disulphonic acid (a specific NBC inhibitor) or removal of [Na +]o entirely blocked the acid extrusion. By using Western blot technique, we demonstrated that four different isoforms of NBC, that is, SLC4A8 (NBCBE), SLC4A7 (NBCn1), SLC4A5 (NBCe2) and SLC4A4 (NBCe1), co-exist in the HUASMCs. Conclusions: We demonstrate, for the 1 st time, that apart from the housekeeping NHE1, another Na + couple HCO3− -transporter, that is, NBC, functionally coexists to responsible for acid-extruding in HUASMCs. Hemangiopericytoma is a rare tumor and accounts for about 1% of the vascular tumor. The most common site is the lower extremities, retroperitoneum/pelvis fossa, and the head and neck. Mediastinum origin is rare especially with neuroforamen invasion. 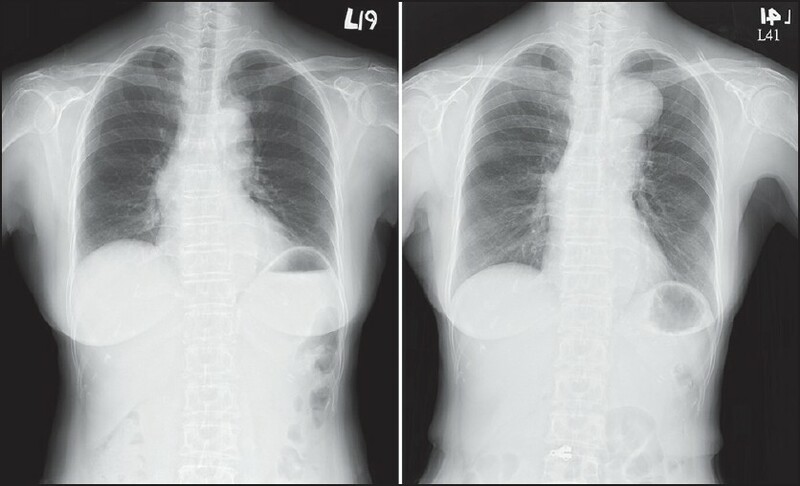 Herein, we presented a case of 71-year-old woman with primary mediastinal tumor mass with progressive enlargement. She was treated by total T4 laminectomy and partial T3 + T5 laminectomy with intraspinal tumor removal and exploratory thoracotomy with resection of the tumor. She was under postoperative radiotherapy at our Oncology Department. The tumor was under well control until now. Extrapulmonary tuberculosis often proceeds with an indolent course until a substantially infected organ is destroyed. This fact creates a great diagnostic challenge for clinicians. We report a rare case of tuberculous lymphadenitis and bilateral tuberculous adrenalitis with concomitant Addison's disease successfully treated with antitubercular drugs and steroid replacement. Primary periodic paralysis is a rare autosomal dominant disorder of ion-channel dysfunction, manifested by episodic flaccid paresis secondary to abnormal sarcolemma excitability. Membrane destabilization involving Na, K-ATPase has been hypothesized to be a biological etiology of the bipolar disorder (BD) and the mechanisms underlying lithium therapy have been linked to it. To date, there has been only one reported case of BD comorbid with periodic paralysis. Herein, we reported another case of concurrent bipolar mania and hypokalemic periodic paralysis (HPP), one special form of periodic paralysis. Consistent with the previous case, our patient responded well to lithium treatment for both bipolar mania and HPP. This might provide some support to the hypothesis that the therapeutic effects of lithium in both BD and HPP could be due to the correction of the underlying common pathophysiology. Mandibular condylar trauma is the most common cause of temporomandibular joint (TMJ) ankylosis. The pathogenesis of this condition is typified by fibrous or bony tissue replacement of the two articular surfaces, resulting in an inability to open the mouth. Treatment includes joint interpositional arthroplasty to remove the ankylosed tissue and meniscus. After smoothing the ankylotic joint surface, autogenous or alloplastic material is used to replace the meniscus. We present a case of TMJ ankylosis treated with interpositional arthroplasty and a Silastic graft. The patient suffered joint trauma that was treated with intermaxillary fixation and insufficient instruction for mouth opening exercise. The patient subsequently developed Type II bony ankylosis in left TMJ, which was diagnosed on clinical examination, and computed tomography. Interpositional arthroplasty with a Silastic autopolymerizing membrane was performed through a preauricular approach. 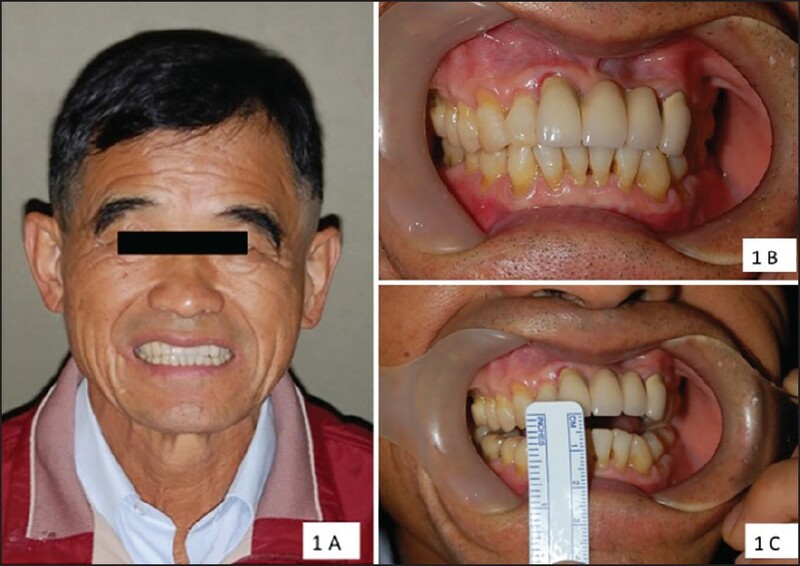 Postoperatively, mouth opening improved significantly from an interincisal distance of 3-28 mm. Surgical and physical therapy accomplished good wound healing without re-ankylosis after two years of follow-up.